Six to Start's latest app is another pedometer for people who need more motivation to get off the couch. 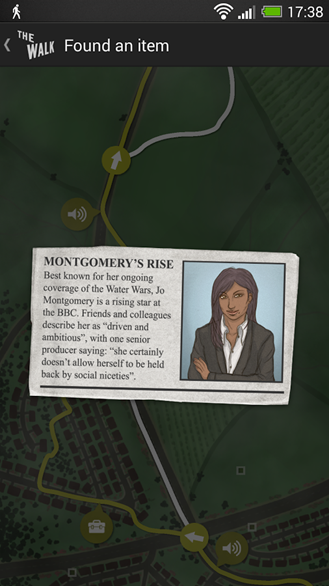 Similar to the team's previous game, Zombies, Run!, The Walk is an immersive experience that pits players in the midst of a suspenseful storyline - but rather than tap and swipe at the screen to make progress, you must get on your feet and move. 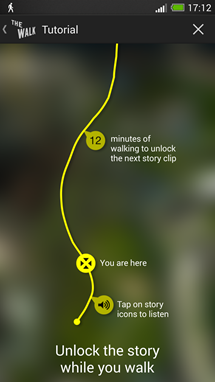 It hopes to change your next walk around town into an adventure you will never forget. 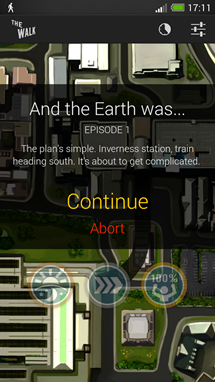 The game begins with a bomb exploding in Inverness station and you being handed a package that could save the world. What follows is a story containing over 800 minutes of audio spread across 51 episodes and hundreds of miles. 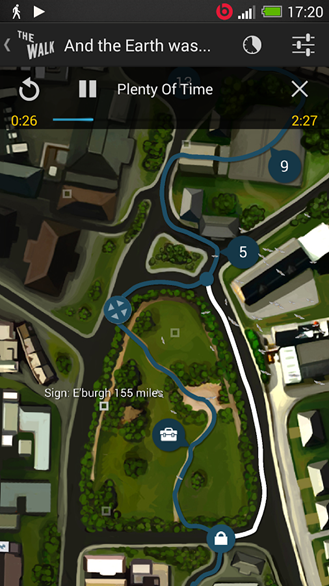 The Walk will have you travel the length of the UK before it's over, evading the police and secret agents. Depending on where in the world you live, that might sound like a far less escapist experience than fleeing from zombies, but hey, some of us are just plain tired of the undead. If you loved Zombies, Run! and want a more updated experience and new environment, The Walk may just be worth a look. It's available below for $3.99, a 20% discount to celebrate its launch. So what are you waiting for? Get moving! 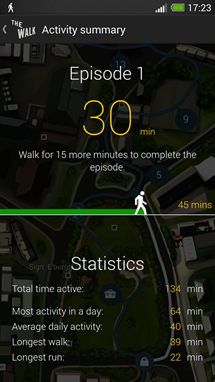 Tags:adventure pedometer Six to Start story The Walk zombies run!